Humidity Levels – Should You Dry Hatch Guinea Fowl Eggs? I have always added water when I incubated guinea fowl eggs but the hatch rates have varied. 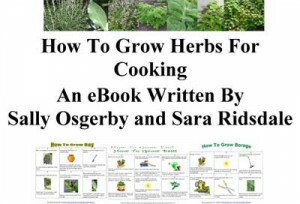 The eBook talks about what the incubator normally recommends. I know that it is recommended that you don’t add too much water when incubating quail eggs until the last few days. I recently incubated quail eggs and only put a small amount of water in throughout the incubation period until 3 days before hatch when I topped up the trays and I had 30 out of 42 hatch successfully within minutes of each other. I realise this isn’t guinea fowl but just wanted to pass on the info & experiences I’ve had. I would recommend keeping a record of water added so that you can look back and see when and how much water was added and then if the hatch is successful you can repeat this but if the hatch is not so successful you have a record of what you did so that you can think about changes. Guinea fowl eggs have very hard shells so I think I would ask the man who sold you them if he adds water at all or just at the end of the incubation. I thought that the humidity is important in the latter stages of the hatch as this helps the guinea fowl to break through the shell and keep the membrane from drying against the guinea fowl as it starts to hatch. I will ask about this on my forum and see if anyone has advice about it as well. I live in the UK and was only introduced to guinea fowl about 5 years ago. I think they are beautiful birds and am always amazed at how they respond to my voice when I want them to go in the hut at night so that the fox doesn’t get them. Their eggs are also delicious. Good luck with your hatch. Thanks for the information. The guy I bought the eggs from said that he only adds water at the end of the incubation period. Do you know what your humidity levels were for the successful hatch that you had? I find it hard to know what to do. Hi Lesley, Unfortunately I have not kept records of the water added to the incubator when hatching guinea fowl eggs. I will have to listem more carefully to what I am recommend to others!! In the Guinea Fowl Past And Present book written by Michael Roberts it says have the humidity at 65% until day 25 and then up to day 28 have it increase to 80%. and she says to keep the water reservoirs water levels maintained throughout incubation and keep them filled to full capacity during the final days. My incubator has two trays and it says to just fill one throughout the incubation and then for the last three days to fill both. and he says when an egg is incubating it needs to lose 14% of it’s weight and this is done by losing moisture so it’s important not to put too much water in the incubator. He suggests putting half a cup in at setting and then add no more until the day before hatching and then fill the trays. I agree it is confusing and I think it is confusing when different sites or people suggest different things. I would look at the instructions on the incubator you have as each incubator is different. I would also definately try to keep a record. This is something I will do next time so I can look back at what I did! Hope this information is useful. Any advice about humidity levels and amount of water to put in the incuabtor when hatching guinea fowl eggs would be great or if you follow the dry hatch method I would like to hear from you about how successful you have found it when hatching guinea fowl eggs. If you keep guinea fowl and want to ask a question to get some advice or just to chat about your guinea fowl then why not join the free farmingfriends guinea fowl forum. 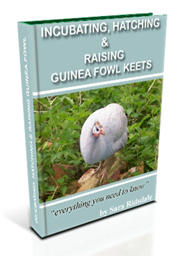 If you fancy having a go at incubating, hatching and raising guinea fowl keets then check out my Incubating, Hatching & Raising guinea Fowl Keets eBook and if you are in the UK then I also have guinea fowl eggs for hatching for sale. Click on the image below to visit Amazon.co.uk to find out more about this incubator or visit one of the Farming Friends Bookshops. 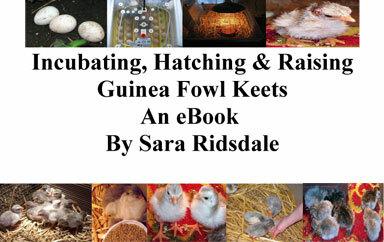 If you fancy having a go at incubating, hatching and raising guinea fowl keets then check out my Incubating, Hatching & Raising guinea Fowl Keets eBook and if you are in the UK then I also have guinea fowl eggs for hatching for sale (UK Spring and Summer months).